When it comes to beautiful jewelry, opal rings are some of the most gorgeous! It’s available in different settings, including white gold, yellow gold, silver, and platinum. This gemstone is very versatile. It goes well with any outfit you have in mind. If you want to buy it as a gift for somebody, you’ll find that there are tons of choices. This gemstone can be white, pale yellow, colorless, gray, black, or pale red. Due to diffraction, it can flash any color of the rainbow. Opal is well-known for its opalescence. As light enters the stone, it bends around the edges of micro-particles of hydrated silica. Precious opal stones display rainbow-like hues that change depending on the angle of observation. It’s especially gorgeous in rounded cut forms. Even black and fiery-orange opal is transparent. Harlequin opal is considered one of the most desirable gemstones due to its mosaic-like color patterns. • The background color and type are two very important factors. Black opal has the highest cost per carat weight. In fact, it’s even more valuable than crystal opal. White or milky opal is the least expensive. In MOST cases, the more colors reflected in the gemstone, the more valuable it is. • Another thing to consider is size. Like other gemstones such as diamonds and emeralds, opal is measured in carats. With all other factors equal, the larger the gemstone, the more costly it is. • The degree of brightness is of extreme importance. The more vibrant the colors are, the greater its value. Vibrant red and orange is worth more than vibrant blue and violet. 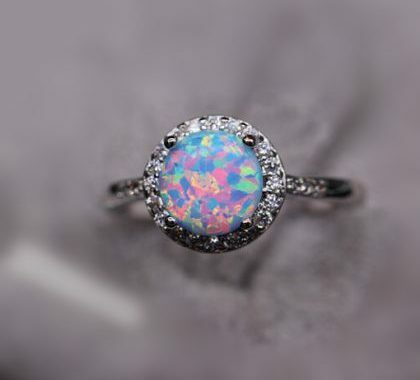 • Good patterns of brilliant colors have a large effect on the appeal and value of opal rings. Broad patterns and large flashes are more valuable than minimal patterns. The most rare patterns are the most valuable; these include harlequin, black, rolling flash, and jigsaw. • Last but not least is the shape and cut. Most opal gemstones are cut into heart or oval shapes. You should be able to find a ring with a nicely shaped opal gemstone for less than $250. As stunning as it is, this gemstone requires a bit of care. Due to the fact that it contains water, it shouldn’t be kept in a dry environment. It needs to be kept in a dehumidified room. If opal dries out too much, the color will fade and the stone will crack. Since it’s somewhat soft, it can scratch easily. Only a soft cloth should be used to wipe the dust off. When not worn, the ring should be kept in a tight plastic bag. SuperJeweler.com offers the best deals on opal rings. You can choose oval gemstones, heart-shaped gemstones, weaving opal gemstones, and more. It’s the best online store for finding gorgeous opal rings at discounted prices! Pink topaz rings are very pretty. 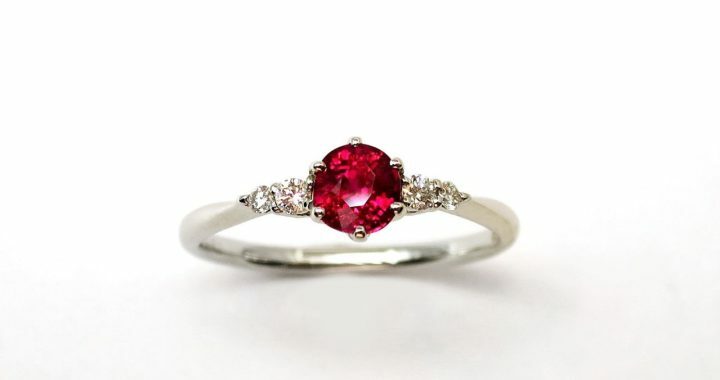 Nothing says “romantic” like pink topaz! This gemstone has been coveted for many centuries by different cultures, including Russian Czarinas, who gave it the nickname “imperial topaz”. 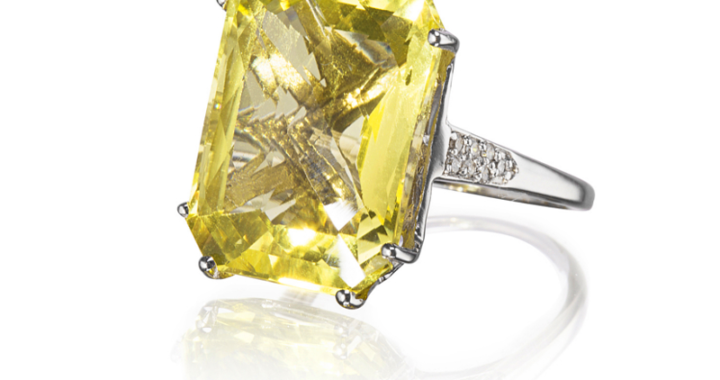 In addition to being a romantic gemstone for engagement rings, topaz is also the birthstone for December. You can give it as a gift to any lady friend who celebrates her birthday in December. It’s available in various shades of red and pink. The color is caused by chromium, which is substituted for aluminum in the crystals. It looks gorgeous set in any metal. Sometimes the pink or red gemstone is framed with smaller white topaz accents. • Strawberry pink – It’s not the most popular color, but it’s still lovely. It looks great with just about any outfit. • Rose pink – This is one of the most popular varieties of pink topaz. It’s the perfect color of jewelry to go with summer and spring outfits. 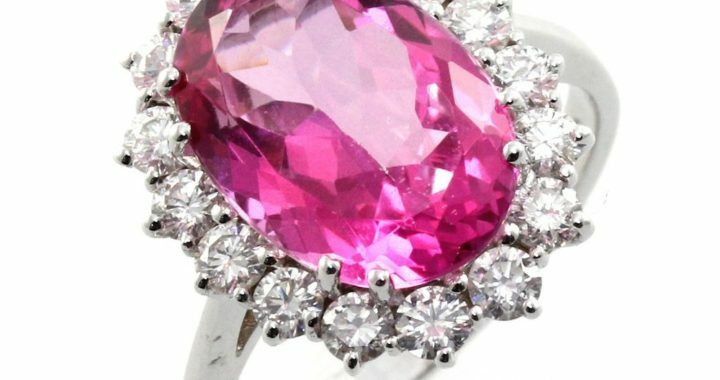 • Hot pink – Most rings have this shade of pink. It’s a vibrant, noticeable shade. Anybody who has hot pink topaz jewelry will definitely stand out at a part or event! • Crimson pink – This stunning shade goes well with darker outfits. It’s the perfect choice for any woman who wants to feel classy during a summer nighttime event. • Salmon pink – Less subtle than the other shades, yet still lovely and classy. It’s an ideal color for spring fashion. It’s a creamy pink that looks great with pastel outfits. • Ask if the gemstone has been treated any. Common treatments include dyeing, irradiation, heat treatment, and coating. It’s always a good idea to know exactly what you’re getting. Keep in mind that all pink topaz is treated in some way or another. The extent to which it is treated depends on the jeweler. • Be sure to choose a quality cut. Topaz is available in a variety of shapes; however, the cut should reflect light evenly from the surface when the stone is held face up. If there is one, tiny flaw, the entire stone will suffer. A scratch can destroy the color and sparkle of pink topaz. • Choose the metal. Pink topaz rings are usually set in white gold or yellow gold. 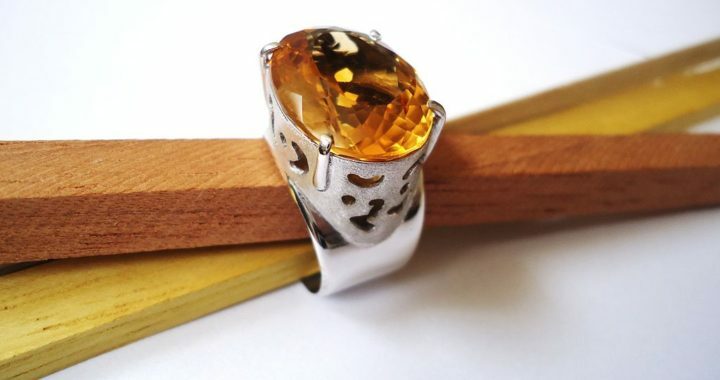 Some rings have a large, solitary topaz stone, and some also have tiny gemstone or diamond accents. SuperJeweler.com offers the best deals on pink topaz rings. Discounts are available on stunning pink topaz rings, necklaces, and earrings. 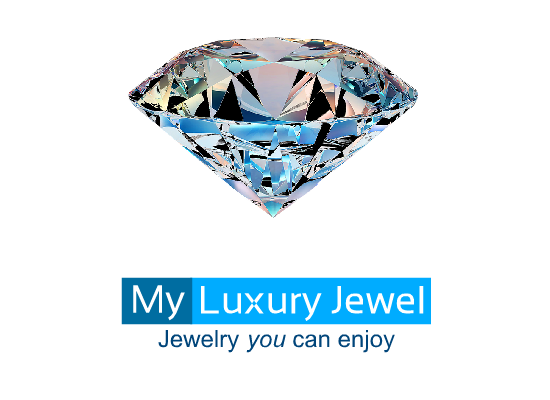 You can save hundreds of dollars at SuperJeweler.com! Tanzanite rings have grown in popular over the past few years. They are now some of the most sought after rings in the world. Tanzanite is a precious stone that is found only in Tanzania. It’s a bold and enchanting gem that never fails to stun observers. It’s a relatively new gemstone. It was only discovered fifty years ago. Since there hasn’t been a lot of time to establish a market, the price is still low compared to other gemstones. The rings are available in a variety of styles and sizes. However, there are a lot of imitation tanzanite rings out there, so you need to be careful when shopping for one. 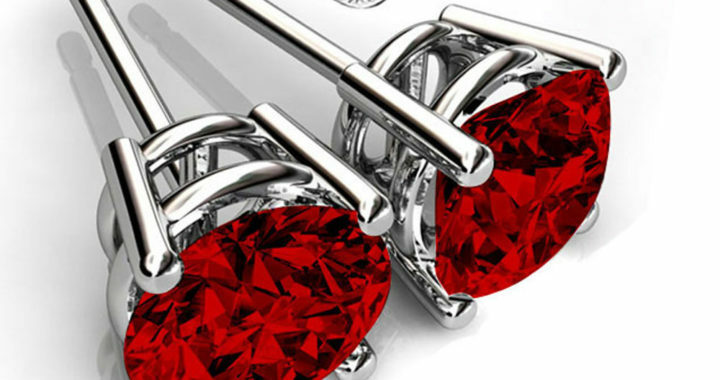 Here are some things you need to know about this gemstone and how it is used in jewelry. It’s the most transparent of all gemstones. This means that any scratch or crack could threaten its appearance and durability. Cracks can weaken the stone and dark blotches can block out light passage. The clarity is determined by examining the gemstone from multiple light sources and angles. The good thing about having it set in a ring is that the metal can hide flaws. 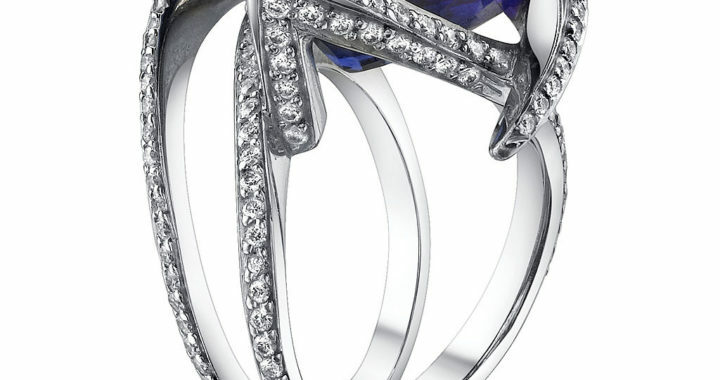 The transparency might not be as brilliant as it would be with loose stones, but tanzanite in rings is still stunning. The cut styles can range from simple and dome shaped to elaborate carvings. 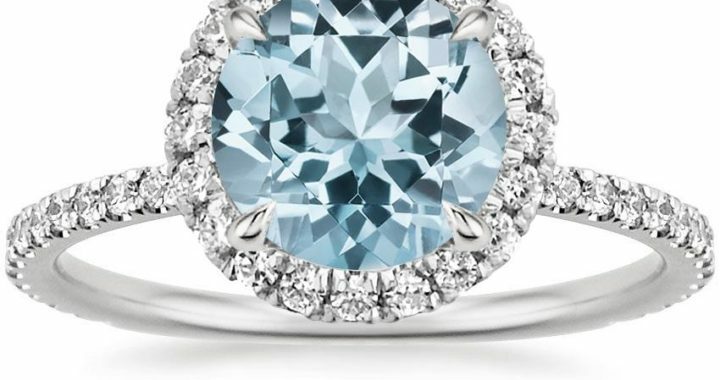 Even though the cut play a smaller role in the valuing of this gemstone than do color and clarity, there are still a few cutting factors that affect the cost of the ring. 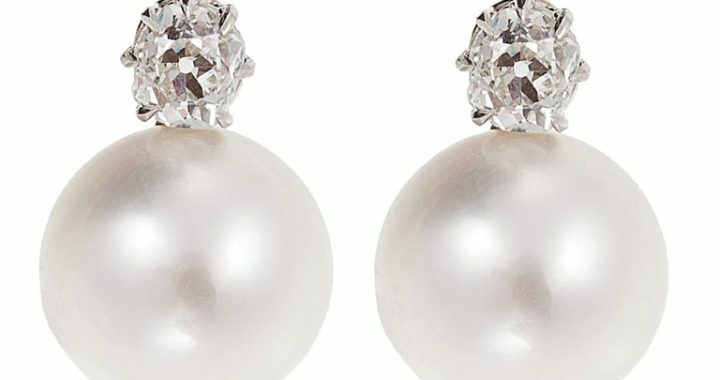 For instance, you can expect to pay a lot of one for a “trilliant” cut or round cut than a pear or emerald cut. A “trilliant” cut is a 58 faceted triangular cut. This is due to the loss of rough stone in cutting refined shapes. Since the stone is highly transparent, top designers take extra time exploring unique cutting concepts to see how brilliant the luster can be. These unique cuts demand top dollar. Did you know that it’s classified as a three-colored gemstones? The dark blue is hard to find in anything under two carats. 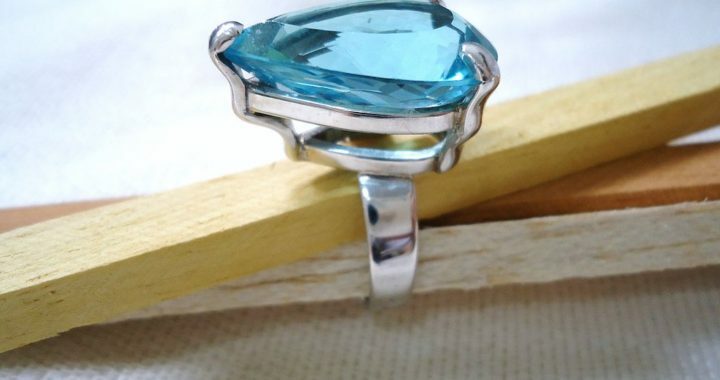 It’s one of the trickiest gemstones to judge due to its extreme transparency. Several shades are displayed at once under light. When shopping for tanzanite rings, you need to have a color range in mind rather than a single color. Some emit violet tones, while others emit a reddish or even orange tone. Sometimes tanzanite rings contain other gemstones such as pink topaz or amethyst. Decide whether you want the tanzanite to be solitary or combined with other gemstones. You can find the most beautiful tanzanite rings at SuperJeweler.com. There are a variety of styles and cuts available. You can also find tanzanite earrings and necklaces – all at affordable prices! Tanzanite rings discounts will help you save hundreds of dollars.